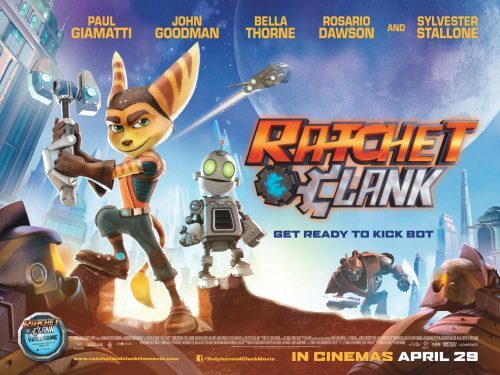 From the greatest selling Playstation game of all time, Ratchet & Clank are now coming to the big screen! Not only that, but it has a stellar voice cast as you can see in the poster. Ratchet & Clank tells the story of two unlikely heroes as they struggle to stop a vile alien named Chairman Drek from destroying every planet in the Solana Galaxy. When the two stumble upon a dangerous weapon capable of destroying entire planets, they must join forces with a team of colorful heroes called The Galactic Rangers in order to save the galaxy. Along the way they’ll learn about heroism, friendship, and the importance of discovering one’s own identity.